This Flex-Time version of the 48 Hour live clinical laser course was developed for estheticians, cosmetologists, and individuals making a career change into laser esthetics who cannot take several days off in a row to complete live, laser training. Classes will be held one day per week for 5 or 6 weeks (or other interval). This is an awesome opportunity for esthetic students currently taking night or day classes or those who don’t want to use all their vacation time to increase their earning potential! EALA is also are offering a “pay as you learn” option by dividing the payment into 5 or 6 payments! (each payment is due 2 weeks before class attended). Enrollment is VERY limited for this popular program as is it in high demand. In order to be licensed in AZ as a laser operator, ARRA requires graduates of a 40 hour didactic laser course to complete 24 hours of directly supervised permanent hair reduction treatments (a minimum of 10 separate treatments). If an AZ laser operator wishes to perform any other laser treatment in addition to permanent hair reduction, he/she must complete an additional 24 hours of directly supervised hands on cosmetic laser treatments with a minimum of 10 separate treatments per modality (e.g. 10 tattoo removal treatments, 10 IPL treatments, etc.). Many states have similar requirements. For those who are not able to complete these treatments under the direct supervision of a medical director, EALA provides an ARRA approved 48 Hour Clinical Laser Operator Course. 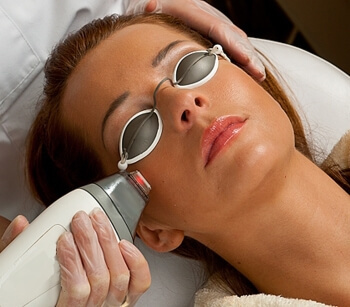 This ARRA approved course utilizes the latest light based technologies to complete a minimum of 24 hours/10 treatments for hair reduction and 24 hours and a minimum of 10 treatments for certification in other cosmetic lasers procedures including photofacials, fractional non-ablative skin rejuvenation and non-ablative tattoo removal.